Review: A group of former college friends decide to meet up for a weekend outing by the Caspian Sea. 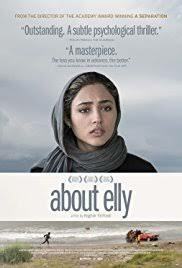 Sepideh decides to bring along Elly, her daughter’s kindergarten teacher and hopes to set her up with recently divorced Ahmad. Tragic events start to unfold.